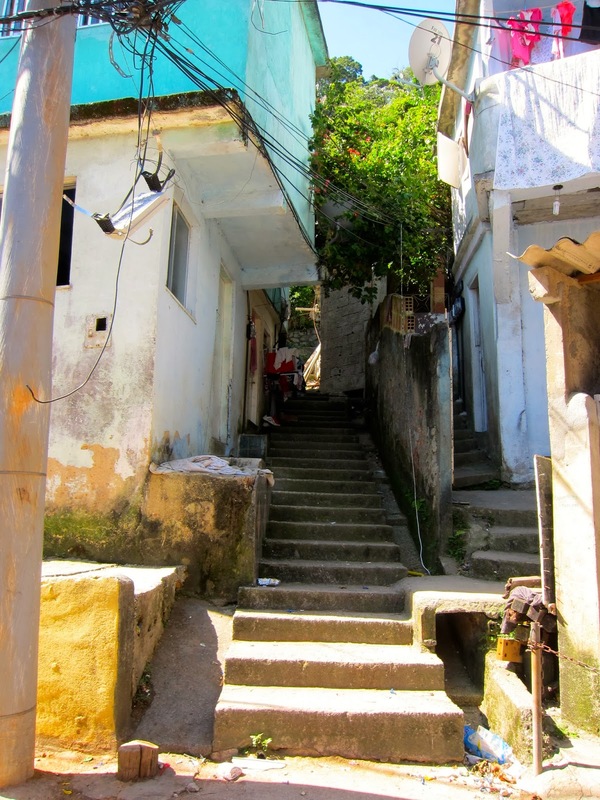 With the pacification program in full swing, some favelas are becoming destination spots for tourists and my favorite would have to be Vidigal. It's actually becoming hot property which sits on Dois Irmaos mountain and overlooks posh Leblon beach. The streets are full of color with walls rich in graffiti art. Ever since the Three Peaks Challenge, I've been looking forward to going back. So when cousin Dan decided to come visit us, Hub and I agreed to show him this thriving little neighborhood. 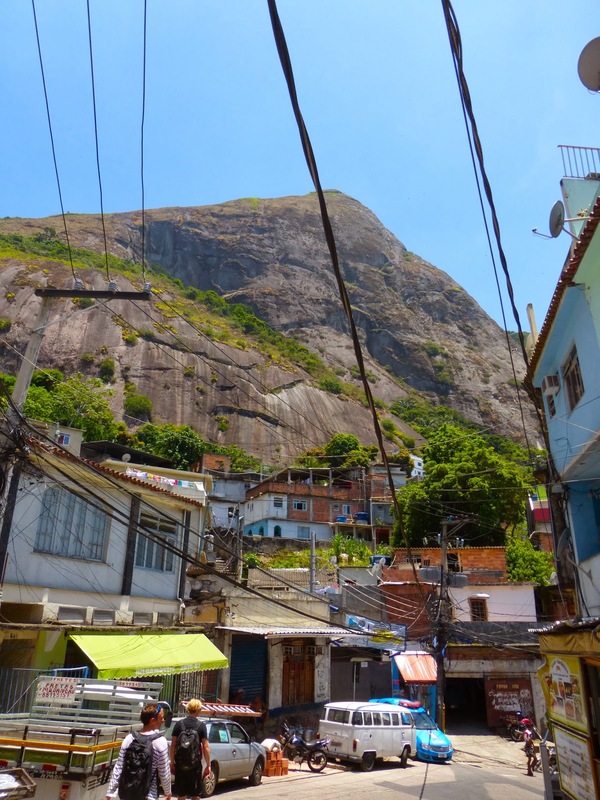 Vidigal is a pacified favela like Complexo da Penha, but it feels and is much safer. We felt comfortable walking through the narrow passages and the people were very friendly, greeting us as we passed and guiding us when we got lost. If you enjoy outdoor activities and love a bit of sweat, then you've got to go for a hike to the top of the mountain and Dois Irmaos teeters perfectly between doable and challenging. The entrance to the trail is at the top of Vidigal and hidden behind some one's house! There were lots of people on the trail which was nice including a sweet little 5-year old girl hiking up in her havainas! The hike is about an hour and half up and down, so a good workout. 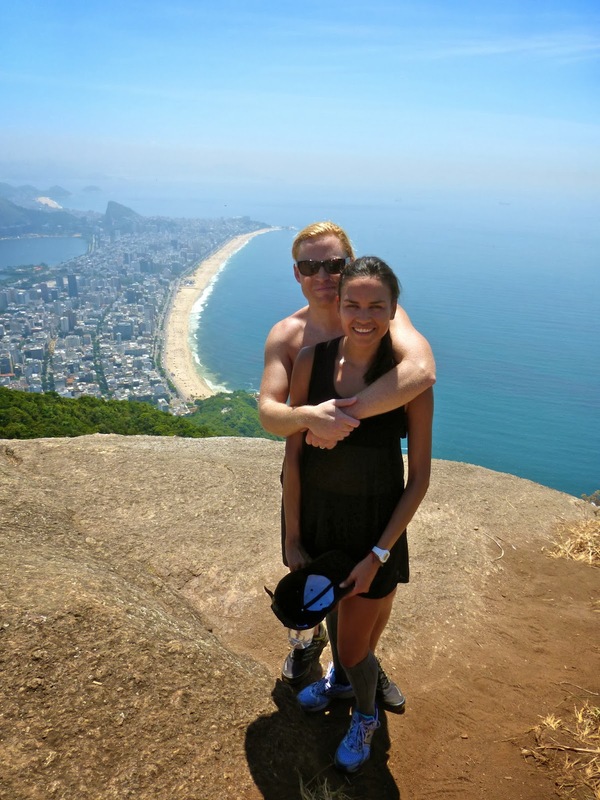 The top of mountain is much smaller compared to Corcovado and Pedro da Gavea, but the views are just as spectacular. You can see Sao Conrado beach, Leblon and Ipanema beaches, and the largest favela in Latin America Rocinha. On our way down and I decided to go nuts with my new Luminex. There's a lot of property development going on in Vidigal and we saw sweet little eateries like this empanada shop, which looked really good. 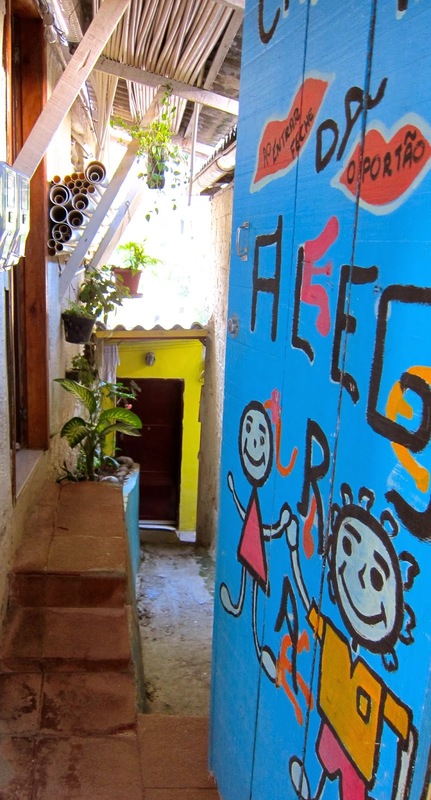 Vidigal is a special place, but it's on the cusp of complete change and its own kind of Renaissance. I'm glad I got to experience it as it is today, a flourishing little slum.